URGENT: 2016 DEBATES PROTEST ALERT! The time to stand in solidarity and be heard – is NOW! Tonight is an historic moment in time. The two most wretched, ethically-challenged and unpopular candidates in history will be proposing their vision for America – and both will be ignoring issues that are critical to Americans. According to USA TODAY, 76% of voters want 4-candidate debates. But the two establishment parties have conspired to exclude their competitors – something the League of Women Voters warned would be “perpetrating a fraud on the American voter.” Let that sink in — the League of Women Voters is one of the most trusted, truly non-partisan organizations in the country, predicted this moment. what’s going on outside the official arena. The 2,000 police will be heavily armed, the fences will be high and the barricades will block us – but we’re going to Occupy the Debates anyway! And we will be using the open internet and social media to go around the corporate media to broadcast our voices. We have decided to heed the words of Jello Biafra– “Don’t hate the corporate media, become the media!” And we will do that outside the doors of Hofstra University tonight. Deeper still, during the debate itself we will literally insert ourselves into the debate using Twitter/Periscope and Facebook Live. We aim to have millions of people watching, listening and reading Jill actually participate live during the debate. We know most of you can’t actually be there with us but Jill will be making sure that your voice is heard. Many bus-loads of dedicated Green supporters will be heading to Hofstra, risking their reputation and their very liberty to stand side-by-side with Jill in unity and solidarity. Even though she won’t be allowed to speak in the Debates, Jill’s voice WILL BE HEARD! Along with Ajamu’s voice, and the voices of thousands more. We’re going to make sure of it. Will you help Jill today? We will be non-violent, of course. But we are very aware that we are putting ourselves in harm’s way. Make no mistake – we’re fully prepared for our people to be arrested in front of Hofstra University, the site of the Debates. We are not encouraging it nor do we endorse it, but it may happen. We’ll demonstrate peacefully and do everything we can to prevent our people and Jill from being arrested, but there are no guarantees. After all, Jill and her 2012 running mate, Cheri Honkala, WERE arrested outside of Hofstra University when they showed up in 2012. They were held by police in a secret “black site” location in handcuffs for hours – until the Debates were over. Tonight, our plan is to get Jill away from the demonstration when the Debates actually start, to a safe place where she can livestream her answers to the same questions being asked of Clinton and Trump. Jill will be tweeting out answers to the Debate questions as they are asked. There will be a Periscope livestream of her actually participating in the debate as if she were on stage. The Periscope stream will be featured prominently on the Twitter page alongside the official Twitter livestream of the event. Readers will be able to watch and share individual responses as they are posted in Jill’s Twitter stream. At the end of the debate, she’ll open the conversation to the American people with a bonus half hour of a Twitter Town Hall! It’s time to make history! This is the moment for action….Right now! If things turn sour for our supporters, they will need immediate help. You can be sure that the Establishment forces will be heavily armed at Hofstra. And you know what will happen if our people get even the tiniest bit out of line. With your help though, we can be prepared for whatever we need to do. Donate – We desperately need your financial support today. Share – Be ready to re-share Jill’s feed to your contacts. Defend – Against the onslaught of misinformation the Establishment will start throwing at us. Will you help us make history today? Never will that be more true than on September 26th when we seize the national stage. P.S. Please give whatever you can. We’re pulling out all the stops to get as many protestors to the Debate site as possible. This one effort will cost thousands of dollars and possibly untold legal fees. Your support in any amount will help get us over the top. P.P.S. Media coverage of the demonstration should be intense given that this week has been a media blitz for Jill. Yesterday she was on was MSNBC at 12 noon eastern, then CNN at Hofstra at 5pm eastern. Today, Jill will be on Fox Business Channel at 12:30pm Eastern, MSNBC at 1:30pm Eastern, and ABC Digital over Facebook Live at 4pm eastern. Make no mistake, the whole world will see Jill and her platform at our demonstration on Monday and afterwards – which is why we need your help. They are: Alan Clendenin, the first Vice-Chair of the Florida Democratic Party and member of the Democratic National Committee and David Cobb a constitutional lawyer, the 2004 Green Party’s presidential candidate and spokesperson for Move to Amend. We’re at 88.5 FM in the Tampa, Florida area and also at www.wmnf.org. Listen in real time or visit the stations program archives for the time and date later. We appreciate it if you can listen in real time, because it helps our program’s ratings . Plus you will be the first to know and possibly even be able to get on the air to comment. Tourists swarm to Florida for the ever so inviting Mosaic Mountains and TECO takes them for a ride! Notwithstanding the flying cockroaches, the infamous child eating alligators, the zika spreading mosquitoes, killer lightning, hurricanes and the ever present mold spawning humidity, our ever so inviting tourist/snowbird state has a new and insidious reason for people to venture down south to where the cicadas sing. Toxic Mountains, Radioactive Aquifers and Obsolete Coal Burning Power Plants! The Mosaic Company and TECO Power Plant are two major polluters in Hillsborough County, FL. Moscaic Toxic Sludge Mountain in Gibsonton, FL. On Aug. 27th 2016, 215 million gallons of radioactive toxic sludge leaked into the Florida aquifer after a sinkhole opened under a Mosaic retention pond in Mulberry, FL. But how could this happen, when last year, on October 1, 2015 Mosaic settled a $1.8B Hazardous Waste Case? The answer can be found between the lines. Here’s an example of how dishonest these companies are and how they do not have the public’s best interest in mind. During the recent election campaign, there was a petition that was in circulation that was meant to trick those who are pro solar into signing. These unscrupulous companies, set out on a huge canvasing campaign called Smart Solar. This was reported by the Herald/Times Tallahassee & was exposed as a dishonest practice. it’s only their bottom line, that they care about. Yes, you’ve been taken for a ride! In 1999 TECO settled a $3.5M lawsuit for violations with an additional $11M they have to pay towards environmentally beneficial projects in the region designed to mitigate the impact of emissions from the company’s plants. As part of their reparations, they were punished to built an environmental center south of Big Bend Power Station. These companies put up a good front in the media, but a picture is worth a thousand words. Here’s an example of how massive Mosaic’s toxic sludge mountain is in Gibsonton, FL. An airport or more than over 30 football fields can fit inside this mountainous sludge pool that is in our own back yard. Next time you go to the races at East Bay Raceway Park, driving on Hwy 41 in Tampa on the borders of Gibsonton and Riverview, take a look to the east. It’s the only mountain in Florida and it’s toxic. To the west is another toxic mountain pool. What happens when a hurricane blows this all over the city, or springs a leak into the bay? Who is effected? The public citizen and our environment! Do they really care about these things? Talk is cheap but those Mosaic commercial’s sure aren’t. Mosaic is the leading fertilizer exporter and money is no object. We and our environment are expendable. Don’t be fooled. After the recent Mulberry Sinkhole, I am contacting my Congressman and writing to the DOJ next. This is a systemic problem and these are but symptoms of a greater problem. We have allowed this to go on for too long. We must rise up in mass and take our planet back. Whatever you choose to do, just do it, peacefully. I will right my Congressman. It is time for Solar Power in the Sunshine State, and time to rid this planet of toxic factories that are rarely held accountable and when they are, the fines are a slap on the wrist. Millions & billions may seem like a lot of money, but when you make trillions, it’s nothing. Mosaic made over 10 billion dollars profit in the past 5 years, a $1.5B fine still leaves them billionaires. Not a bad deal, eh? This is only part of what the Green Party represents and work towards. Please join us to help make this a nation ran for the people and by the people, not the multinational corporations who have taken us hostage and are forfieting our future and our children’s children’s futures for their short term profits. Time’s are a changin’ and we need you to join us to make this place a cleaner & safer place to live. We want to preserve our land and restore what we can. Being a tourist state, we should cherish and protect our land water and air. The fountain of youth is here in Florida! Do we want to leave for posterity poisoned springs and a ruined planet? We need you, we cannot do it without YOU! This is the most important thing we are saying here. YOU make a difference! Come to one of our local monthly meetings and make some new friends! Together we can change the world by acting locally, but thinking globally. With the recent failed Paris climate talks, we need to work locally and put pressure on all the polluters and you are a part of this solution. Mountain Top Removal for Coal Photo by Matt Wasson, Appalachian Voices. April 19th, 2010. We cannot justify burning so much coal in the Sunshine State after Amendment 4 passing in the recent election and you can get solar now. Floridians for Solar Choice urges us to Vote NO on 1 in upcoming election. Author adminPosted on September 16, 2016 September 17, 2016 Categories Environment, UncategorizedTags lawsuit, mosaic, pollution, sinkhole, tecoLeave a comment on Tourists swarm to Florida for the ever so inviting Mosaic Mountains and TECO takes them for a ride! This is the single most important environmental issue happening in the SE region of the US right now and most people don’t even know about it. A flyer with more information is attached. This project has been APPROVED. 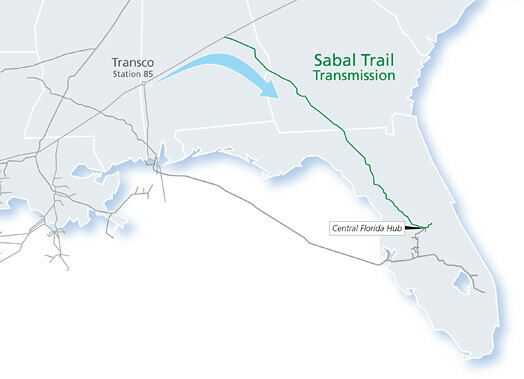 Spectra/Sabal Trail broke ground last Tuesday. This will affect Alabama, Georgia and Florida. Organizers and allies are exploring legal loopholes, possible encampments and direct actions. Image on John S. Quarterman’s Flicker page. License Attribution Some rights reserved by fau Sabal Trail Route Map Florida opposition to Spectra pipeline. Pictures by for Lowndes Area Knowledge Exchange (LAKE), Valdosta, Lowndes County, Georgia, . Center Hill is the planned staging area and is located east of Bushnell and Webster Flea Market. We need direct actions. We also need to find out EXACTLY where this staging area is. Florida just passed Amendment 4 which provides tax breaks to property owners who install solar panels on their property. The sunshine state is headed in the direction of solar power, a much more clean and safe source of energy. “Eight Solar Trees together can produce 16.8kW of power. Enough electricity to power about two homes for a year, and it’s equal to offsetting 22 tons of carbon dioxide.” – Sign at TECO Plant, in FL. It’s time for the 60% of Americans who say we need a new major party to stand up for our right to open debates. Sign the petition to show your support for opening up the debates! We, the undersigned, demand that the Presidential debates include all Presidential candidates who have qualified for enough state ballots to be a choice for a majority of voters. Polls show that 50% of Americans do not identify as either Democrat or Republican. This means that the Presidential debates as currently managed are locking out the diverse voices and views of half of all Americans. The Commission on Presidential Debates may sound like an impartial, public body, but it is actually a private organization run by the Democratic and Republican parties. When these two establishment parties took over the debates in 1989, the League of Women Voters withdrew its sponsorship, rightly observing that the “unprecedented control” demanded by the Democrats and Republicans would make the debates “campaign-trail charades” that would “perpetrate fraud on the American voter”. The need for “more voices and choices” can be met by including all candidates who are on the ballots for a majority of voters, a number that has typically ranged from 4 to 6 candidates in total. Voters have a right to hear directly from their possible choices for the highest office in the land. These choices should reflect the diversity of American political opinion, and not be restricted to two candidates nominated by establishment parties awash in corporate donations and billionaire support. Please read letter I received from Jill Stein. We all need to help make this a reality. This is what I have been wanting ever since Jill was denied to debate in 2012. Remember when she was handcuffed to a folding chair for hours in a warehouse. That was not the America I signed up for, nor did anyone! Let’s get someone with integrity and intelligence into the debates and see what happens! We have everything to loose and everything to gain. Forward this info to everyone on all your social media pages, to all your friends. This MUST go viral. It is imperative we do all we can do at this crucial hour. You make a difference. Peace. This is impressive. We’ve gotten 100,000 signatures from people like you who want Jill Stein on the debate stage September 26. With less than two weeks left until the first debate, we’re ramping up our efforts with a multi-pronged strategy. In addition to putting pressure directly on the debates commission — asking why they oppose the 76 percent of Americans who want open debates — we’ve set the ambitious goal of doubling the signatures on our petition to show we mean business. We’d like to be able to walk into the Washington, D.C. offices of the Commission on Presidential Debates on September 20 and hand them all 200,000 signatures. Add your name to demand the presidential debates include all four ballot-qualified candidates. Our first milestone is to reach 125,000 signatures by tomorrow. By the way, the Commission on Presidential Debates may sound official, but it’s really a private corporation run by Democratic and Republican elites to keep our voices out of the debates. Tell them you’re not having it anymore. Sign and share the petition for open debates today. P.S. Share this email with your friends if you have already added your name to the petition. P.P.S. We’re marching in front of the Commission on Presidential Debates tomorrow evening. Join us! Author adminPosted on September 14, 2016 September 14, 2016 Categories CampaignsTags campaign, election, jill2016, open the debatesLeave a comment on Open the Debates! The Green Party of FL, stand in solidarity with Native American’s non-violent protests against the pipeline, destruction of sacred lands and potential risk of polluting their drinking water. The Green Party is for Clean Fuel Alternatives and there’s never been a better time to join together and fight peacefully for a clean planet. Let us show the world that our planet is worth fighting for.